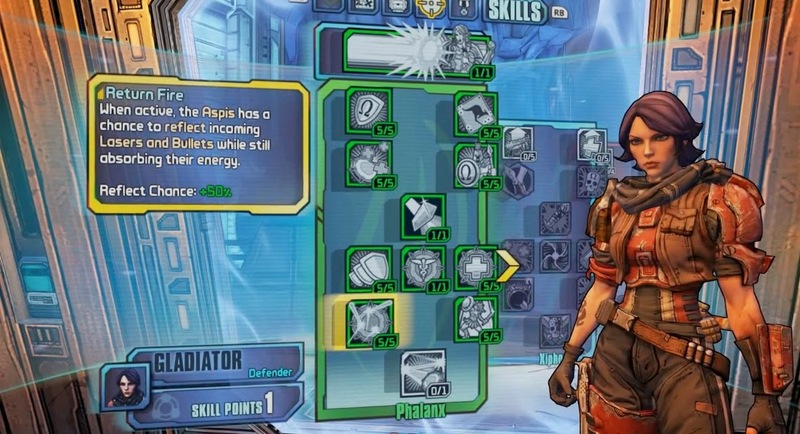 Let's take a look at some info regarding Athena in Borderlands: The Pre-Sequel. 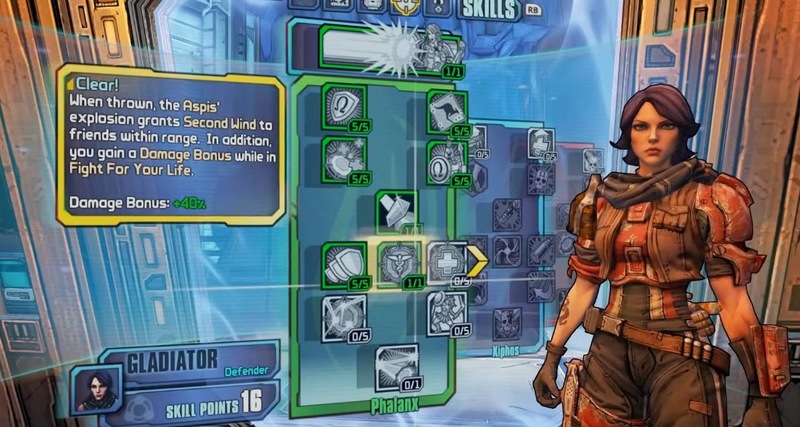 Here's a vid by Rev3Games detailing Athena's Skill Tree. The Kinetic Aspis power is going to be very fun with the right tactics and is mostly supported by the Phalanx Skill Tree. Clear! will be very very awesome in co-op. I hope whoever is playing as Athena in my co-op team will make good use of this, because I tend to die often... coz I'm usually the one in the frontline! Return Fire will be a must have skill if I'm playing as Athena. I just love the skills that power up the Action Skill.. Wrath of the Goddess will be another cool skill to power up the Kinetic Aspis.. The other 2 Skill Trees - Xiphos and Ceraunic Storm also have plenty of cool skills and generally I feel that players would choose 1 or the other, to pair with the main Phalanx Tree. Xiphos Tree consists a lot of Melee Skills and Bleed Effects, while the Ceraunic Storm is all about Elemental damage. It's also great to see that there are several Skills that will enhance the use of the "jump-slam" action. So the "jump-slam" could be a important part of your arsenal and not just a gimmick behind the moon environment. Here's a detailed guide by IGN, listing all the Skill tiers and the stats for each Skill. Cool new vehicle at the 6min mark! Pretty cool stuff.. 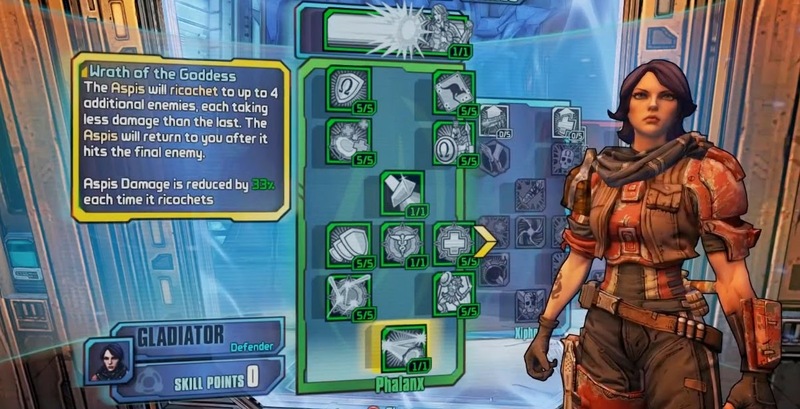 Very similar to the previous Borderlands games but the new features look fun. Lastly, if you can't wait for the release.. you can play as Athena right now! 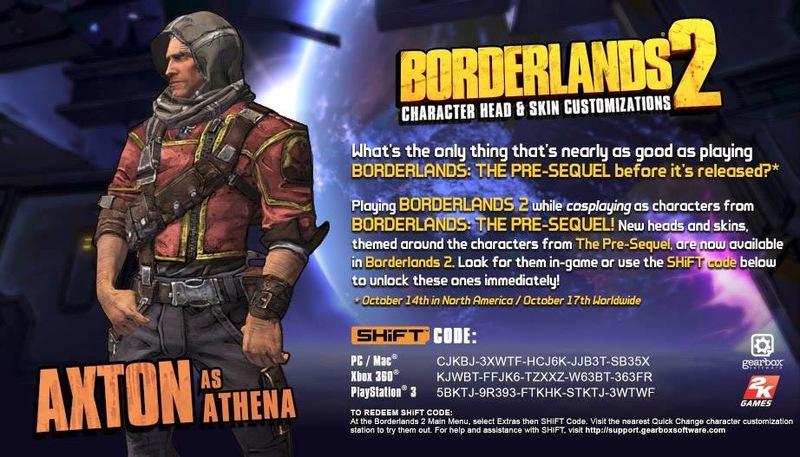 Ok.. not really.. but here's the Shift Code for Borderlands 2 where Axton to cosplay as Athena. Not sure when this code will expire, so better to get it redeemed quickly. There's going to be more Shift Codes released in the coming weeks, for the different characters. So stay tuned! Dead Island 2 Collector's Edition: You decide! The 'cursed' Assassin's Creed IV Coins..